Apna Recharge provides you with one of the most highly demanded features nowadays. Our flight booking API works to guide you through making a reservation by finding you the most economical and feasible option within your budget. All major airline services are listed in Apna Recharge.
. This feature along with the option to book hotels make Apna Recharge the go-to site for travelers. Hotel booking APIS works by finding the best hotel for your budget making your stay at place safe and enjoyable. 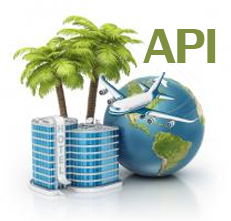 Flight and hotel booking API used by Apna Recharge are always at work getting the best deals for you whenever you need them.